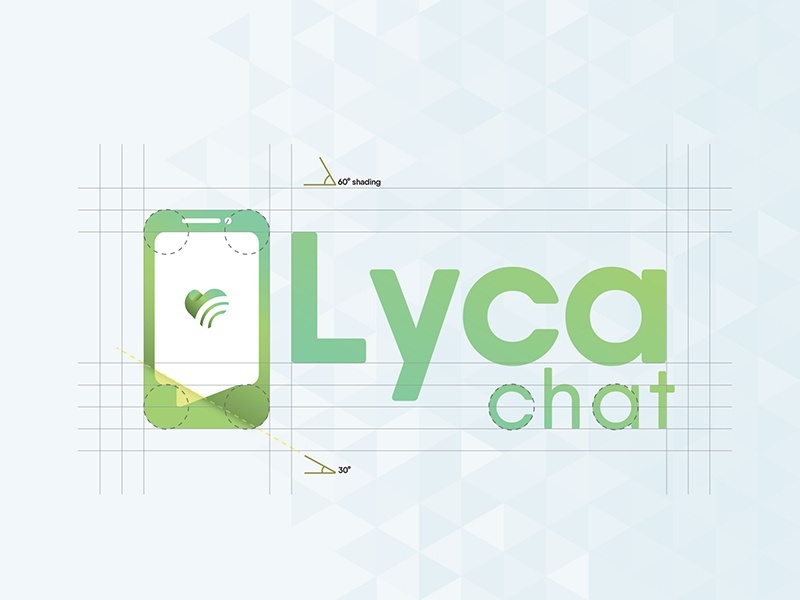 The new Lycachat logo is the most prominent expression of Lycachat rebranding project. The new Lycachat logo has been developed to improve the user experience using the app or browsing Lycachat web page. The new logo is surrounded by a minimum area of space. The area of isolation ensures that headlines, text, or other visual elements do not enoroach the logo. The area is defined by a 60px space based on the 800×400 pixels main artboard. Equivalent to double size of the distance between the pictogram and the logotype. Lycachat is a free to download VoIP (Voice over Internet Protocol) app launched in 2016. The app features high-definition 1-2-1 and group video calls, instant screen and file sharing, and multimedia messaging. Lycachat allows customers to make international calls to landlines and mobiles using its Lycachat OUT call feature, where credit can be transferred from Lycamobile top-up vouchers. Lycachat currently has downloads from over 154 countries and is growing rapidly, with new features being added on a regular basis.